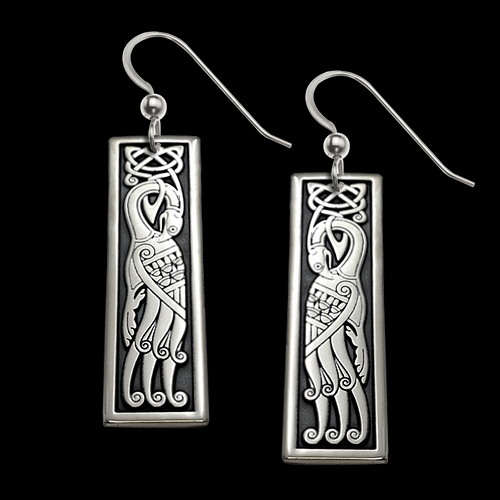 Sterling Silver Peacock Celtic Earrings by Metal Arts Group. This design displays the lovely peacock, created in a traditional Celtic styled form and then embellished with a curling sweeping tail and knotted crest. In various cultures the Peacock symbolizes beauty, sophistication and can help lead a lost soul on a spiritual path. 2.6 x 0.5 inch Sterling Silver Peacock Celtic Earrings by Cari Buziak. Made in USA.